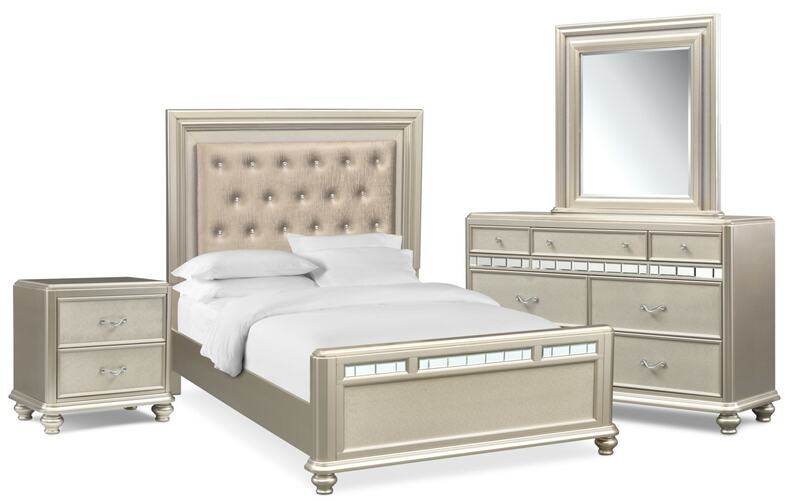 The leather-like upholstered headboard is adorned with crystal button tufting. Spot clean the headboard using foam only from a water-based cleaning agent such as a mild detergent or non-solvent upholstery shampoo. Many household cleaning solvents are harmful to the color and life of a fabric. Apply foam with a soft cloth and brush in a circular motion. Vacuum when dry.